An open contest is predicted when Porto host Liverpool in their UEFA Champions League quarterfinal second leg at the Estadio do Dragao. With Porto looking to overturn a first leg deficit and given Liverpool's quality in attack, I am predicting an outcome of over 2.5 goals at 1.91. Porto were no match for the Reds in last week's first leg as they suffered a 2-0 defeat at Anfield. They made a swift return to winning ways in the Portuguese Primeira Liga on Saturday, claiming a 3-0 victory away at Portimonense. Moussa Marega was on target in the win over Portimonense and the Malian striker is expected to continue in attack with Vincent Aboubakar still sidelined with injury. Pepe missed the first leg against Liverpool due to suspension and should return to partner Eder Militao in central defence. Porto are looking to overturn a 2-0 deficit and are priced at 3.75 for victory on Wednesday. Sergio Conceicao's men are also set at 3.25 to earn a draw against the Reds. 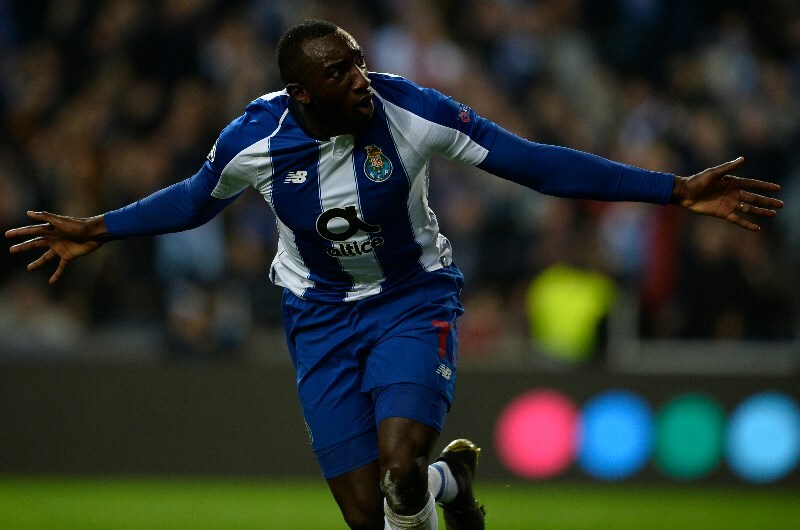 Porto forward Moussa Marega is expected to give the Liverpool backline a sterntest (Getty Images). Liverpool were in fine form in the first leg as strikes from Naby Keita and Roberto Firmino gave them a 2-0 victory at Anfield. They followed up that result with a 2-0 triumph against Chelsea on Sunday which helped them retain top spot in the English Premier League. Sadio Mane opened the scoring for the Reds against Chelsea before Mohamed Salah made it two with his second goal in three matches. Both men should start in attack on Wednesday alongside Roberto Firmino, who has five goals in his last nine matches across all competitions. Liverpool have won their last three away matches, including the 3-1 triumph at Bayern Munich in the Round of 16. Jurgen Klopp's men are fancied to win in Portugal and are backed at 2.05 to secure the victory on Wednesday. Liverpool have a great record against Porto with four wins and three draws from seven previous meetings. The Reds have won three of the last four matches against the Portuguese champions, including a 5-0 triumph at the Estadio do Dragao in the Champions League Round of 16 last season. Porto are attempting to overturn a first leg deficit and are likely to play on the front foot. Tiquinho has scored twice in his last three home matches and his partnership with Marega in attack should trouble the Reds. Porto's progressive style could play into the hands of Liverpool, who have plenty of pace and movement in attack with Firmino, Mane and Salah. All three men were on target in the 5-0 victory last season and should once again get the better of the Porto defence. FC Porto have seen over 2.5 goals in 6 of their last 7 matches (UEFA Champions League). 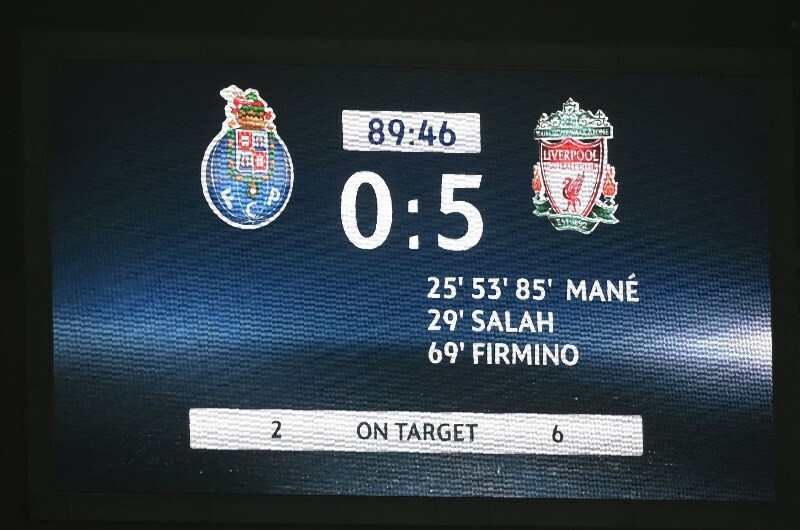 FC Porto have lost 3 of their last 4 matches against Liverpool (UEFA Champions League). Liverpool have seen over 2.5 goals in their last 3 away matches (all competitions). Liverpool have won their last 6 matches (all competitions). Porto and Liverpool often enjoy an open style of play with both teams boasting plenty of quality in attack. An outcome of over 2.5 goals is the prediction here at 1.91 with Liverpool also tipped to continue their fine record against the Portuguese champions with a win.